How many ways does he have to say it? George Takei does not like that Sulu is gay in Star Trek Beyond, not in theory and, as it turns out, not in execution. Takei originally expressed displeasure with the Star Trek Beyond creative team’s decision to make Sulu gay in his honor, calling it a “really unfortunate” change to canon and a “twisting of Gene [Roddenberry]’s creation.” Having now seen the film, Takei hasn’t changed his mind and, in fact, disagrees with the way Sulu’s gayness is depicted. He told Digital Spy: “They talked about Sulu becoming gay, but it was such a tentative thing … Shakespeare said it: Full of sound and fury, signifying nothing.” In the movie, Sulu can be seen with his husband and child. John Cho, who plays Sulu in the film, previously told Vulture that a kiss was cut, and Takei’s takeaway was indeed that the scene is too mild. “Sulu comes back, picks up the little girl and hugs her, and then puts his arm around a guy and they walk off … not even a kiss. Just hugging the baby and arm around the guy… and it’s over,” he said. 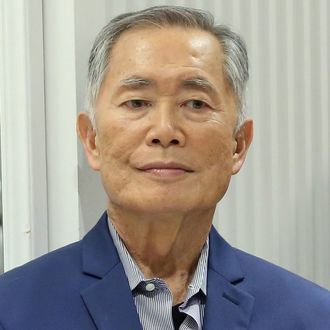 Takei added that had Star Trek creator Gene Roddenberry been the one depicting a gay character, he “would’ve been really imaginative.” “He would’ve created a gay character who has his own history in this kind of society and explored what kind of issues he would have to deal with, and how he would’ve expressed himself, and how society would’ve dealt with him. All those potentials are there — and yet…” George Takei: A tough man to please.